The trailer traces the journey of a bunch of friends who collaborate to make short films. There haven’t had such memorable buddy films in Telugu and Ee Nagaraniki Emaindi is surely going to be a treat for the young crowd. 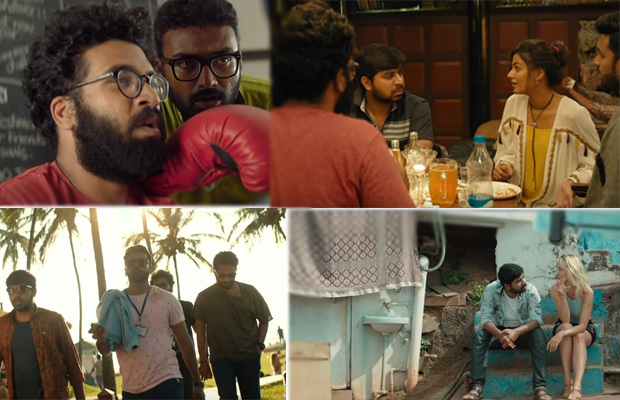 The first trailer of Ee Nagaraniki Emaindi starring Vishwak Sen, Sushanth Reddy, Abhinav Gomatam, Venkatesh Kakumanu, Anisha Ambrose and Simran Choudary is finally out and is entertaining. The film directed by Pellichoopulu fame Tharun Bhascker is produced under Suresh Babu Productions. The trailer traces the journey of a bunch of friends who collaborate to make short films. There haven’t had such memorable buddy films in Telugu and Ee Nagaraniki Emaindi is surely going to be a treat for the young crowd. Shot in Goa and Hyderabad, director Tharun Bhascker is all set to give us the heart-warming slice-of-life comedy again. Must say, what a vibe this trailer has got. Rana Daggubati took to his Twitter account to release the first trailer of film Ee Nagaraniki Emaindi starring Vishwak Sen, Sushanth Reddy, Abhinav Gomatam, Venkatesh Kakumanu, Anisha Ambrose and Simran Choudary. What do you think about the trailer? Let us know in the comments section below.